Enjoy exclusive use of our High Priority Telephone Number and VIP Grading to jump the queue during busy periods. You can book by app, online or call. 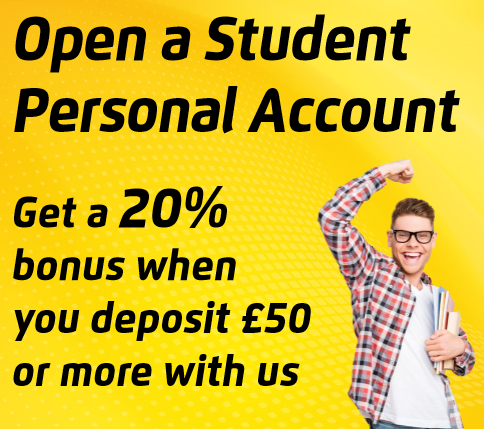 Deposit £50 or more and receive an additional 20% into your Glasgow Taxis Student Account and use your credit to access our VIP Student Taxi Account. You can also Hail any one of our cabs in the street and charge this to your Account, just look out for the wee yellow Flag. Use these forms to sign up or top up your Glasgow Taxis Student VIP Account. All payments are made through PayPal. You may pay using your PayPal account or by credit card. Remember: You cannot access your credits until the office have set up your account on the system and you receive notification with Account details and PIN. It may take twenty four hours or a little longer at weekends/holidays. This is really important if you are topping up your account. For more information on student accounts click here.